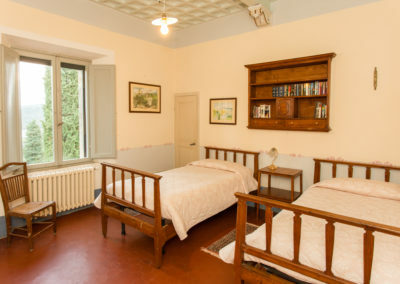 Family Offer - 2 communicating rooms FOR THE PRICE OF 1!! 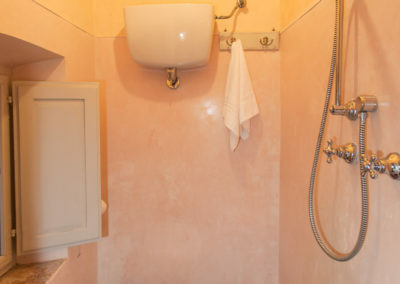 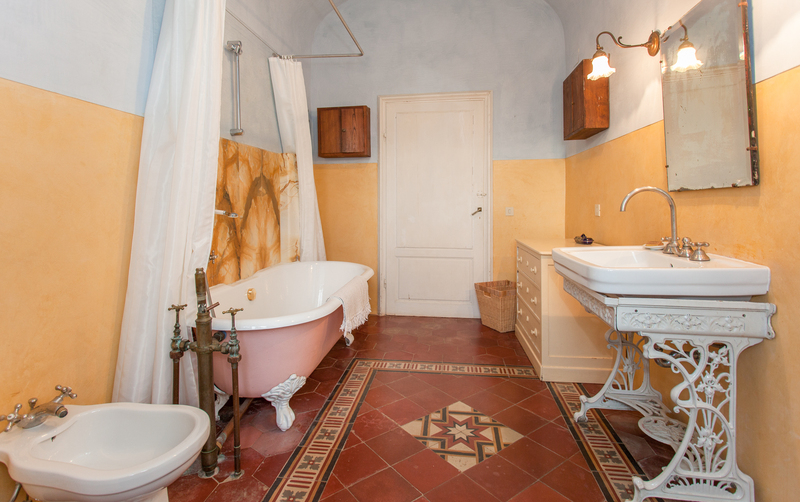 2 Spacious rooms that share the large bathroom with bathtub, for a SPECIAL OFFER for FAMILY! 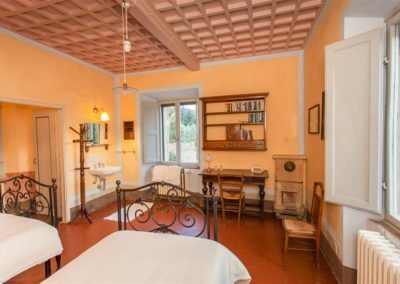 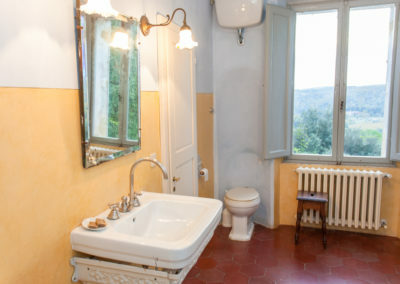 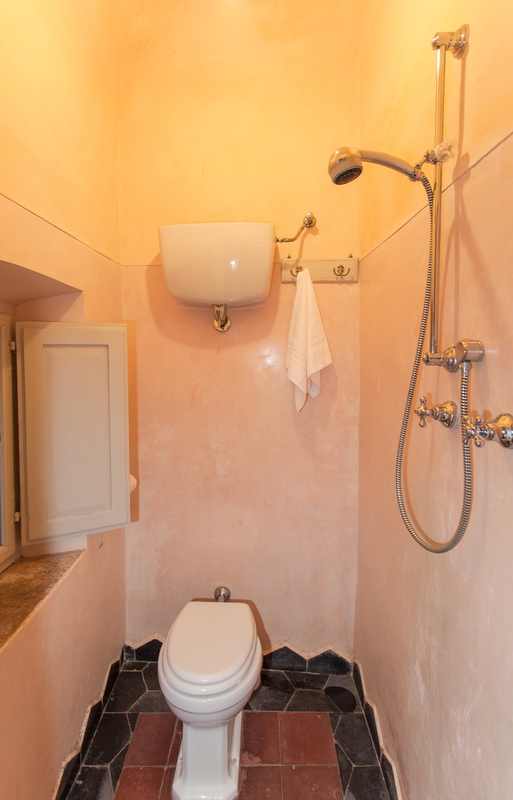 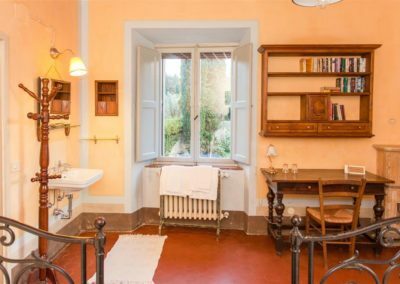 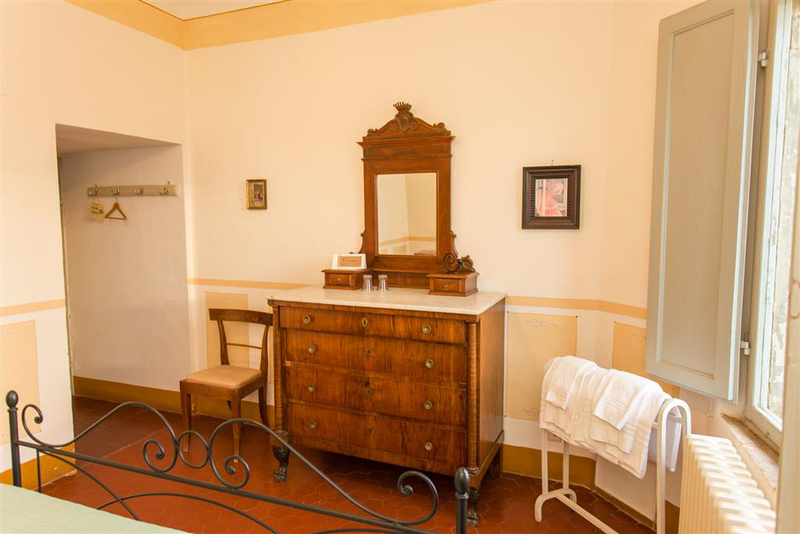 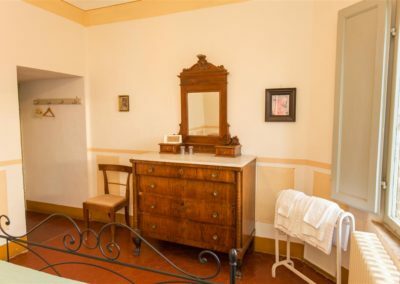 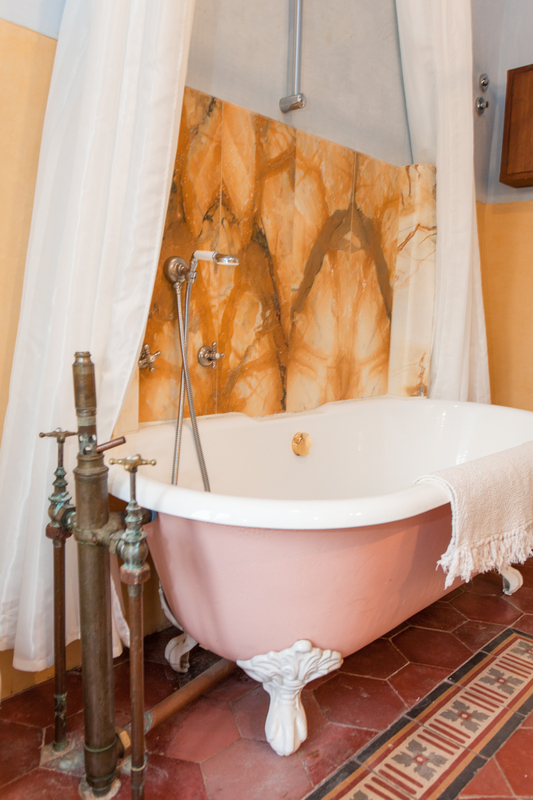 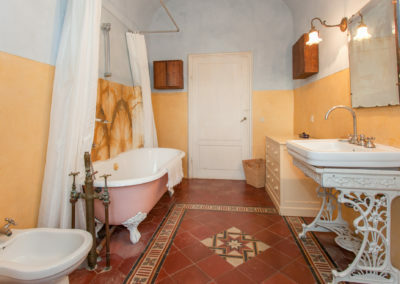 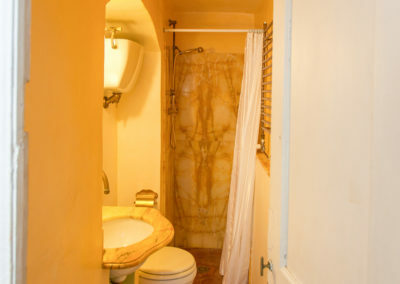 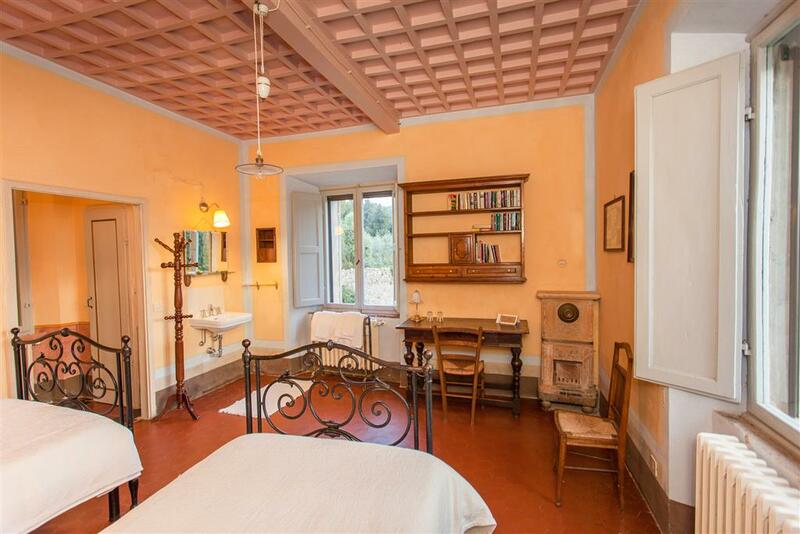 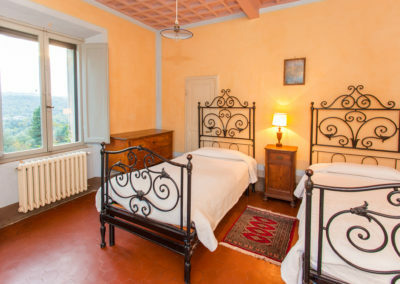 Classic Tuscan furniture and large bathroom with finiishes in yellow Siena marble, bidet and a beautiful antique bathtub with shower. 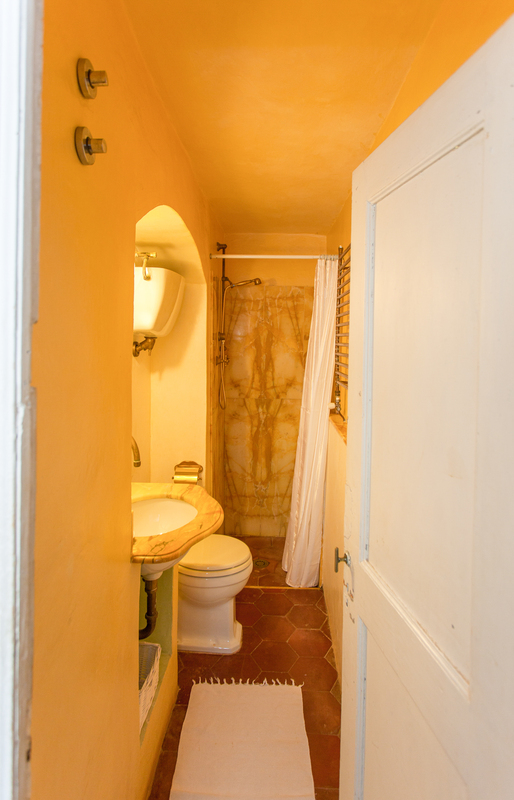 One bedroom is on a corner with two windows and has a small additional bathroom for more privacy. 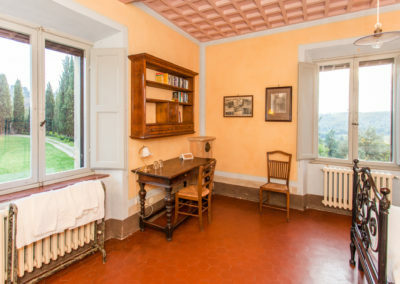 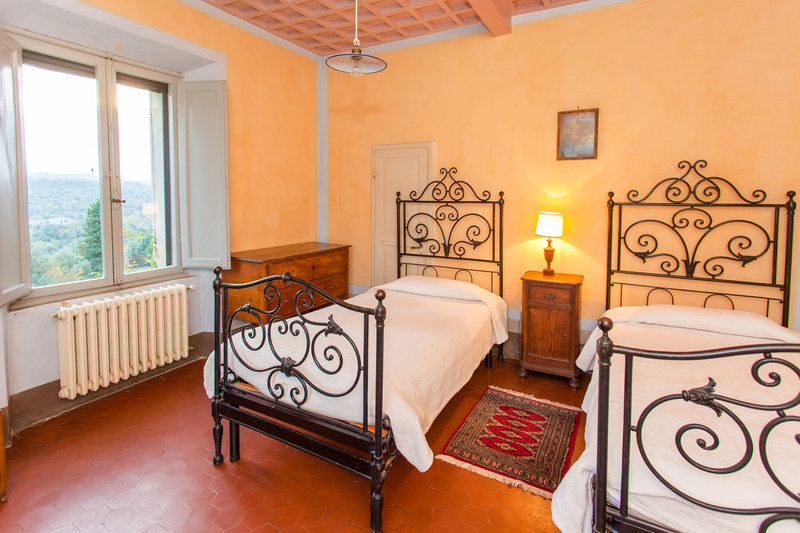 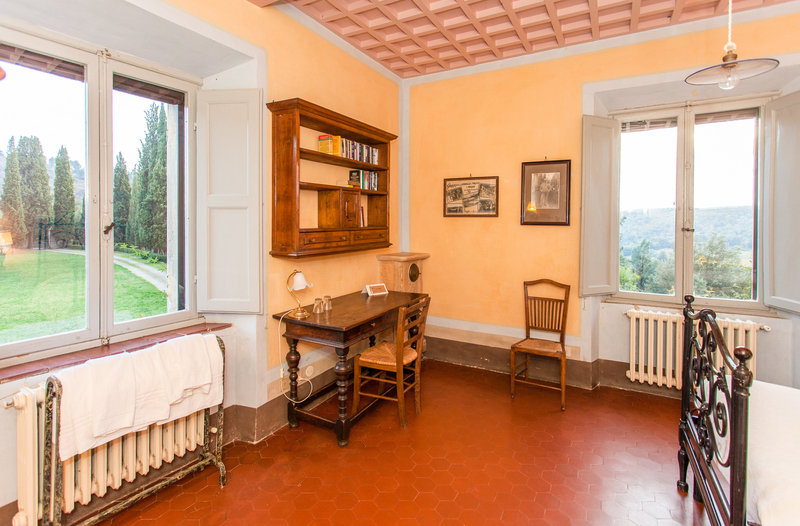 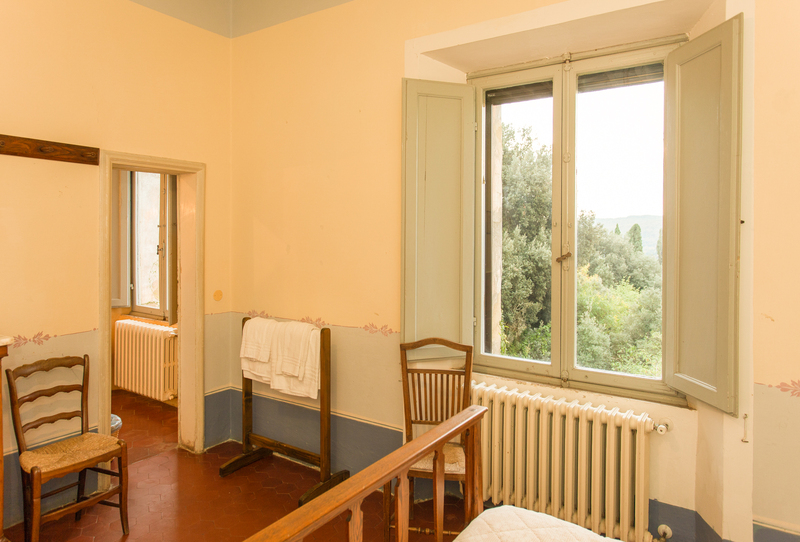 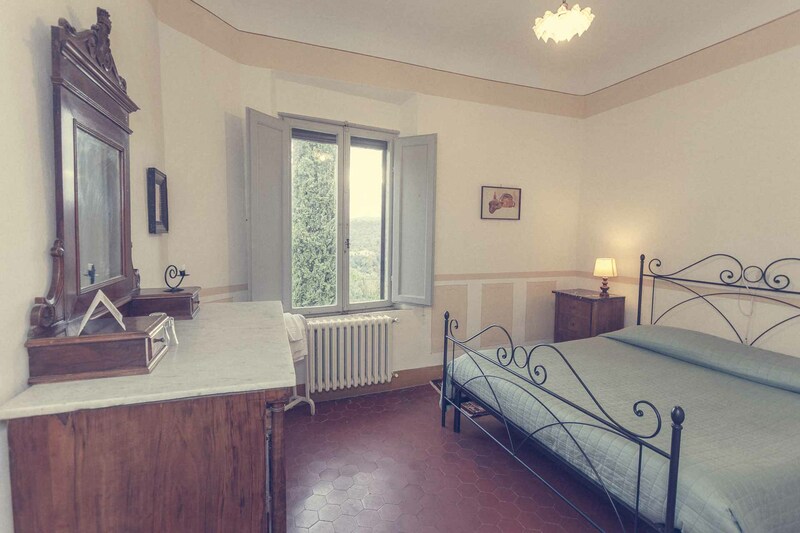 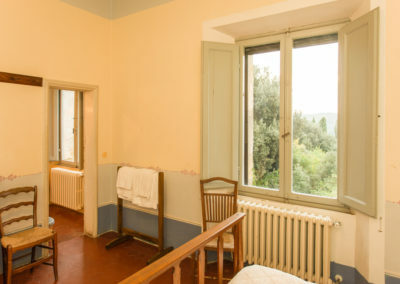 Both rooms overlook the Villa’s garden and the view of the valley. 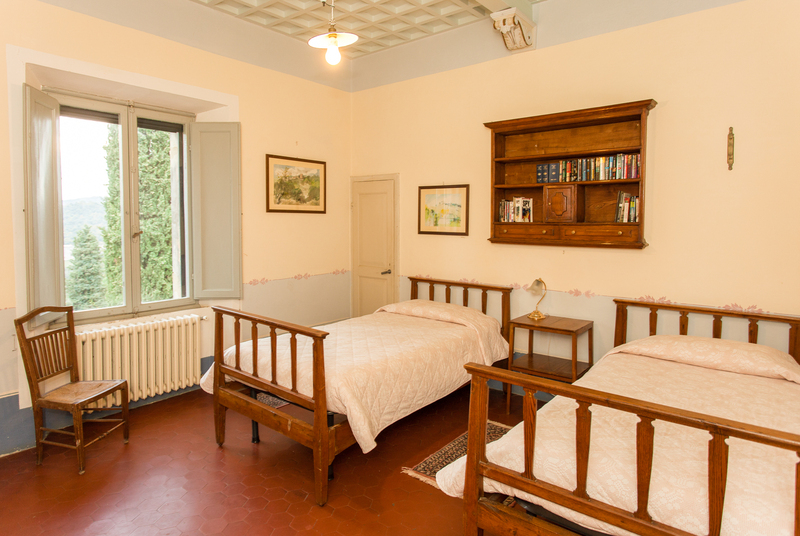 Type of beds: both rooms can have 1 double bed or 2 separate beds on request.